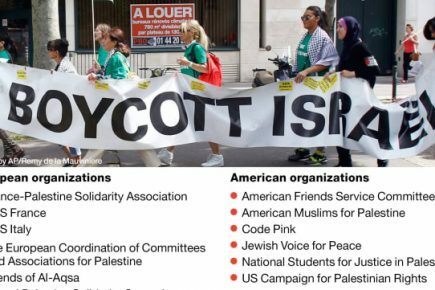 The group’s declared mission is to drive a wedge between the U.S. and the Jewish state and to promote radical boycott campaigns against Israel. 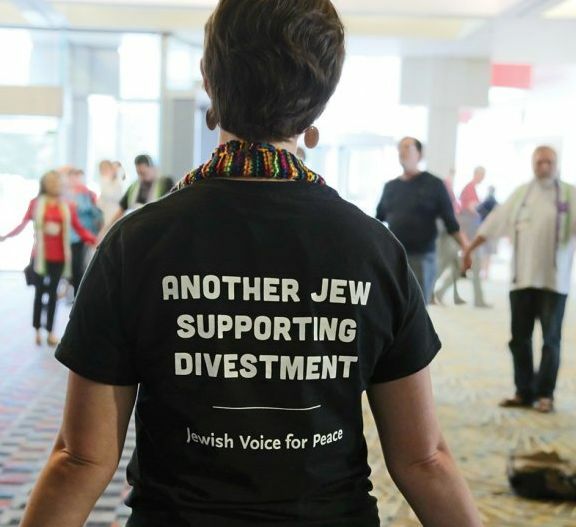 JVP opposes the Jewish right to self-determination, espousing the anti-Semitic BDS campaign that seeks to eliminate the Jewish state. To clarify, the Jewish rights that JVP decries are embodied in Israel’s law of return: They are the rights that allow Jews to freely immigrate to the country and ensure that Jewish refugees from anywhere at anytime can find a safe haven in their ancestral homeland. 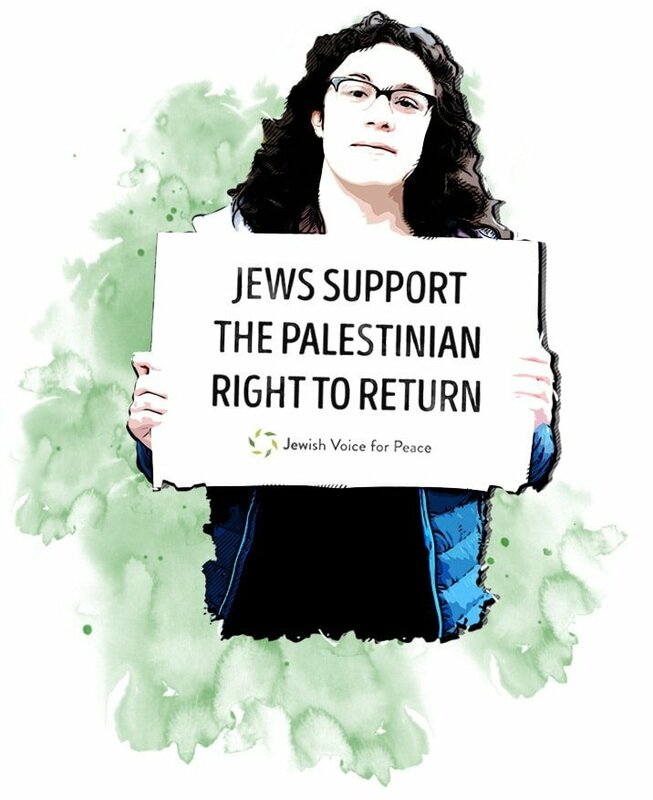 JVP’s condemnation of rights for Jews is accompanied by its adoption of the BDS call to “promote the rights” for millions of descendants of Palestinian refugees to move to Israel and turn Jews into a minority in their ancestral home. It amounts to the annihilation of a Jewish state through demographic means. 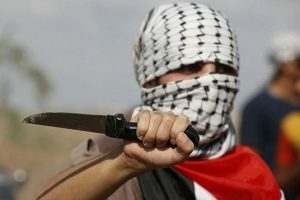 But while BDS leaders are forthright about the meaning of the Palestinian so-called “right of return” – leader Omar Barghouti acknowledges that “you cannot reconcile the right of return for refugees with a two state solution….a return for refugees would end Israel’s existence as a Jewish state” – JVP leaders couch it in false terms of peace, liberation and international legal rights. 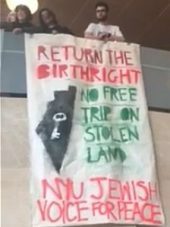 JVP invokes the Universal Declaration of Human Rights and claims that the “rights of Palestinian refugees to return to their homes and properties” is “stipulated in UN Resolution 194” to wrongly suggest that these documents enshrine the right of Palestinians to settle freely in Israel. It is a falsehood. The 1948 UN General Assembly Resolution suggested that “refugees wishing to return to their homes and live at peace with their neighbors… be permitted to do so at the earliest practicable date.” It was a recommendation, as opposed to a legal directive, that was predicated upon the refugees’ acceptance of Israel and willingness to live at peace with their Jewish neighbors. (That this resolution pertained equally to Jewish rights of refugees from Arab countries is completely ignored by JVP.) 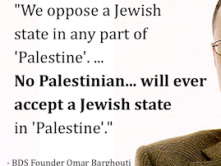 Arab leaders repeatedly rejected the resolution precisely because they refused to accept the Jewish state. And the majority of international legal scholars consider Universal Declaration of Human Rights inapplicable to Palestinians who had never been citizens of Israel. 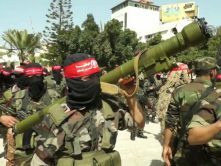 In CAMERA’s backgrounder, “The Palestinian Claim to a Right of Return”), Dr. Alex Safian explains how the declaration actually argues against a Palestinian right of return to Israel. 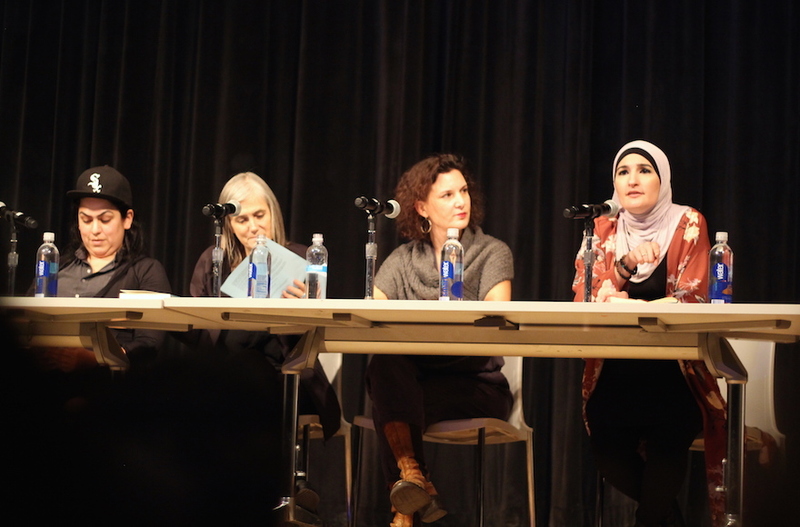 JVP collaborates with Jew haters of all religions and stripes, from Muslim terrorists to white supremacists. 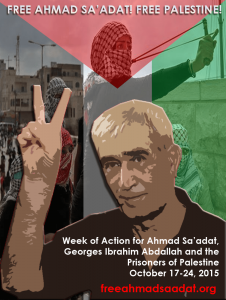 Who is the person portrayed by JVP’s press release as the innocent victim of Israeli and U.S. law? 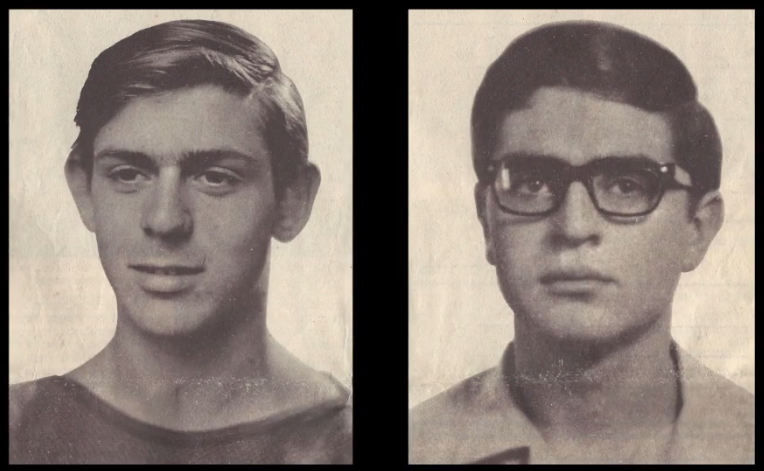 Rasmeah Odeh, a member of the Popular Front for the Liberation of Palestine (PFLP) terrorist group, was convicted by an Israeli military court for her role in terror attacks, including the 1969 attempted bombing of the British Consulate and the bombing of a Jerusalem supermarket that killed two Hebrew University students, Edward Joffe and Leon Kanner. After devastating evidence was brought against her in a full trial deemed fair by an International Red Cross observer, Odeh was sentenced to life imprisonment. She was released in a prisoner exchange 10 years later and moved to Jordan before immigrating to the U.S. where she concealed her past conviction. The PFLP terrorist lost her U.S. citizenship in 2014 after she was found guilty of immigration fraud by a U.S. court, and was sentenced to 18 months in prison. But she appealed, alleging that her original signed confession of guilt in a terrorist act was false, extracted through sexual abuse and torture by Israeli investigators, and that she had been suffering from Post-Traumatic Stress Disorder (PTSD) when she lied on her U.S. immigration papers. Although she was granted a new hearing, she chose to forego the trial that required her to produce evidence supporting her claims. Instead, she accepted a plea deal whereby she would be spared imprisonment in exchange for deportation. In September 2017, she was deported back to Jordan. Cornell Law Professor William Jacobson has studied Odeh’s case and written extensively about it, setting the record straight by demonstrating the overwhelming evidence of her guilt that belie her claims of false admission under torture and PTSD. But despite the clearcut evidence for the PFLP terrorist’s lies and guilt, JVP celebrated and campaigned for her, promoting her lies and twisting her case into a weapon with which to attack Israel. 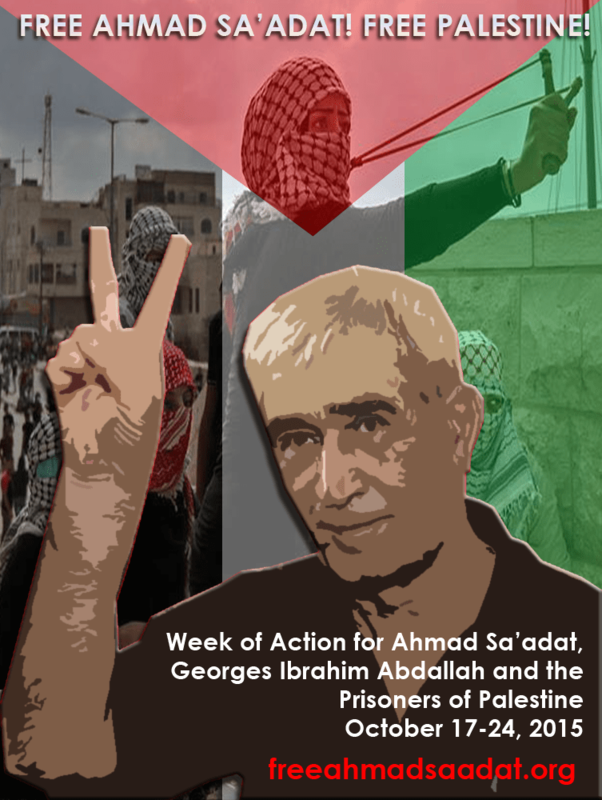 The San Diego branch of JVP similarly endorsed a campaign to free Ahmad Saadat, a leader of the PFLP, imprisoned for his leadership of a terror organization and his role in the 2001 murder of Israeli cabinet minister Rechavam Zeevi. Contrary to his contention, Barghouti is not a political prisoner who was jailed for his beliefs. 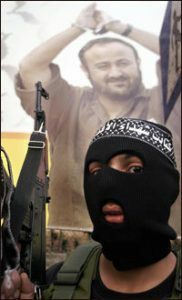 As a leader of Fatah’s militia, Barghouti was convicted for his role in several terror attacks that killed five people, including an attack in Maale Adumim that killed a Greek monk, a car bomb attack and an attack in a Tel Aviv restaurant that killed others. Indeed, JVP justifies and encourages Palestinian guns and stabbing as legitimate “resistance” against Zionist Jews. 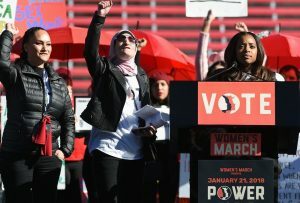 Their embrace of the crudely anti-Semitic Louis Farrakhan and their refusal to condemn his anti-Semitic rhetoric became too controversial. In addition, other examples of the leaders’ anti-Semitism surfaced. 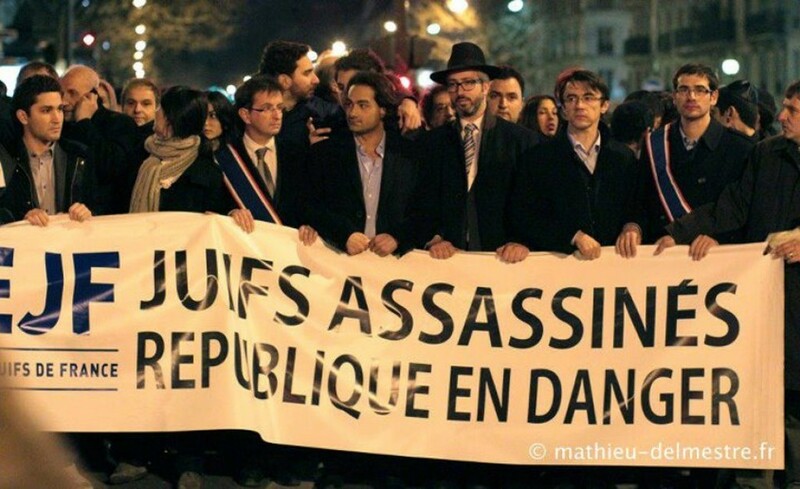 Following terror attack on a Jewish grocery store, French students unfurled a banner that read “Jews are murdered, the republic is in danger.” JVP, however, would not condemn anti-Semitism. Beyond the refusal of JVP’s own members to confront anti-Jewish racism, they attack and discredit those who are willing to take a stand against it and other racism. 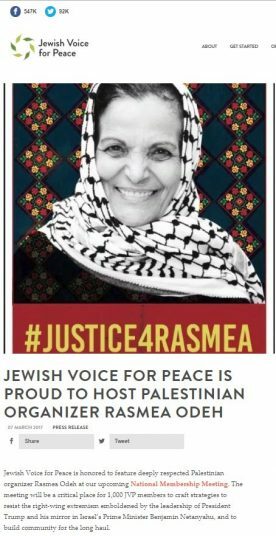 At the same time, JVP desperately attempts to redefine anti-Semitism to exclude its own actions and campaigns. 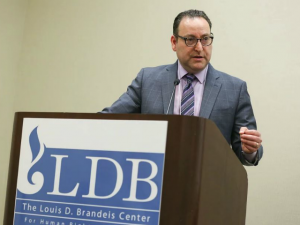 The 106-year-old Anti-Defamation League (ADL), a Jewish-founded civil rights organization that combats anti-Semitism and other forms of racism was slated to participate in a nationwide racial bias education day for Starbucks employees following the arrest of two black men who had entered a Starbucks café to use the washroom. But, as part of its war against those who fight anti-Semitism, JVP joined forces with other Jew haters to campaign against the ADL. 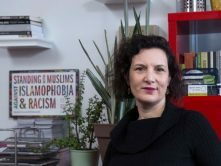 Although in this case, ADL was countering general racism, JVP nonetheless seized the moment to smear the well-established and respected civil rights organization with baseless slurs, false allegations of Islamophobia and demands that it be excluded from the anti-racism teaching initiative. 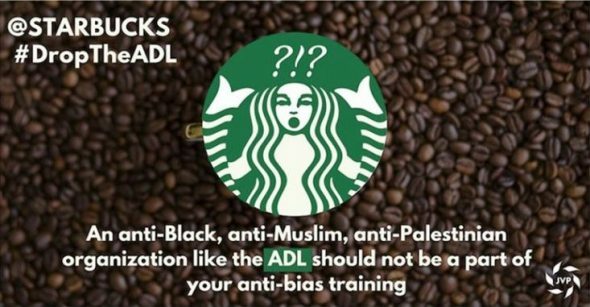 Starbucks succumbed and removed ADL from the program. 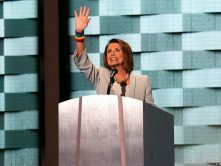 The 2016 Anti-Semitism Awareness Act was introduced in Congress at the end of President Barack Obama’s presidency to consider “a definition of anti-Semitism for the enforcement of Federal anti-discrimination laws concerning education programs or activities.” After passing the vote in Senate, it moved on to the House. 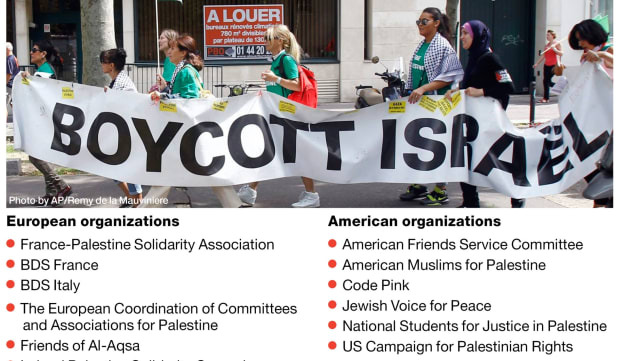 The bill proposed using Europe’s widely-accepted “Working Definition of Anti-Semitism of the European Monitoring Center on Racism and Xenophobia (EMCR)/International Holocaust Remembrance Alliance (IHRA)” to define anti-Semitism. *Accusing Jews as a people of being responsible for real or imagined wrongdoing committed by a single Jewish person or group, or even for acts committed by non-Jews. In July 2018, the UK’s Labour Party under the leadership of Jeremy Corbyn rejected the IHRA definition of anti-Semitism that had been previously adopted by the party, escalating concerns in Britain’s Jewish community about the increasing anti-Semitic tenor of the party and its leader. The party subsequently changed course and agreed to re-adopt the IHRA definition in its entirety, rebuffing Corbyn’s efforts to remove from the definition ‘denial of the Jewish right to self-determination, e.g., by claiming that the existence of a State of Israel is a racist endeavor’ or the use of double standards in dealing with the Jewish state. 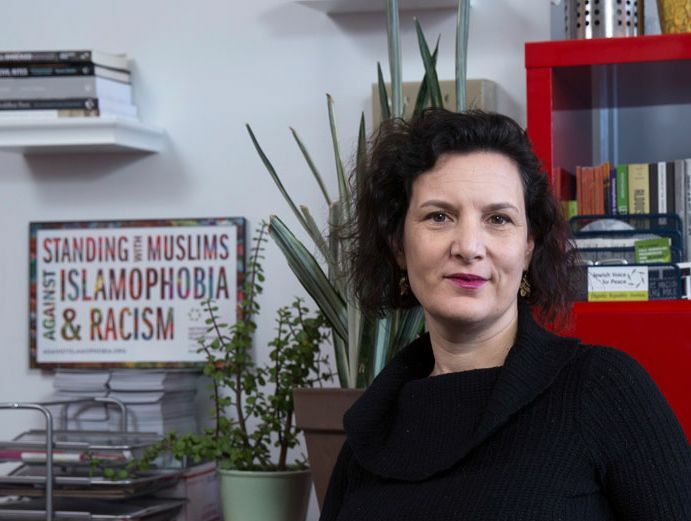 JVP’s executive director Rebecca Vilkomerson lost no time in lobbying against the adoption of the IHRA definition of anti-Semitism. Writing in London’s Independent, Vilkomerson used the “as a Jew” platform from which to attack those seeking to defend Jews from charges of racism. Siding with Jeremy Corbyn, Vilkomerson contended that it was all just “an attempt to stifle criticism of Israel.” She complained that the IHRA definition of anti-Semitism was a weapon used “to target organisations campaigning for Palestinian rights” and claimed that it would shut down legitimate criticism of Israel’s “racist” policies of “segregated road systems” and “dual justice systems” – employing yet more false charges: There are no racially segregated roads in Israel. Nor does the Israeli justice system differ for those of different races or religions. These are part of the litany of falsehoods that JVP uses to promote an anti-Jewish state agenda. 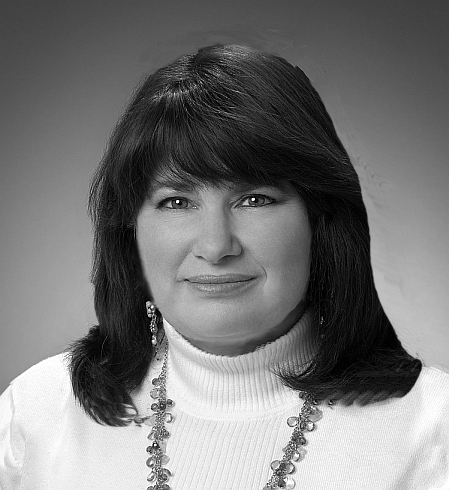 In fact, Marcus has an extensive background in civil rights law. His qualifications for the position include his service as the Chair in ‘Equality and Justice in America’ at Baruch College, four years as staff director of the U.S. Commission on Civil Rights, a 7-year tenure as president and general counsel of the Louis D. Brandeis Center for Human Rights Under Law, and a previous appointment as assistant secretary for civil rights under President George Bush. In addition, he is the author of several books and articles about anti-Semitism. At the same time that JVP activists falsely accuse those who oppose anti-Semitism of trying to curb free speech, they themselves attempt to muzzle the free speech of anyone who supports the Jewish state. JVP’s campaign against Birthright, a 25-year-old educational NGO that funds trips for young Jews to Israel, seeks to to attenuate the youths’ Jewish identity and ties to the Jewish state by undermining the organization’s efforts to connect young Jews with their heritage in the Holy Land. 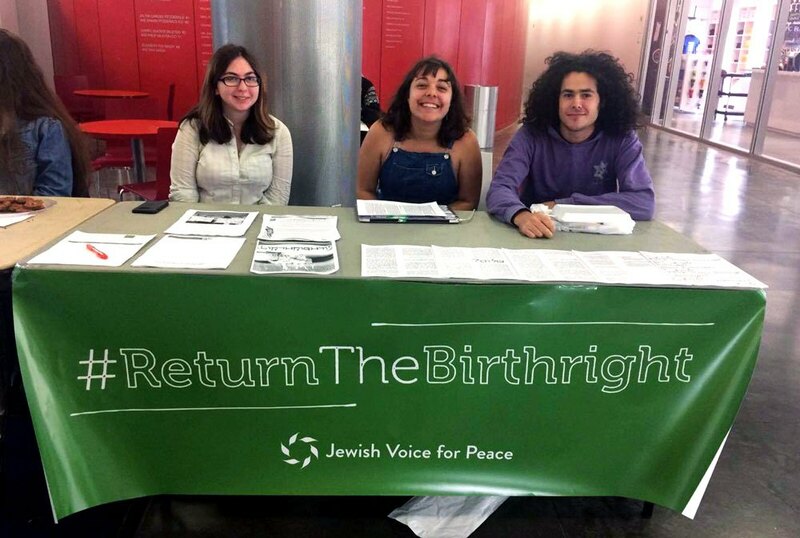 Under the hashtag #ReturntheBirthright, the campaign urges young Jews to reject the opportunity for their own experiential learning in the land of their ancestors and to accept in its place the smears against the Jewish state that are fabricated by JVP. 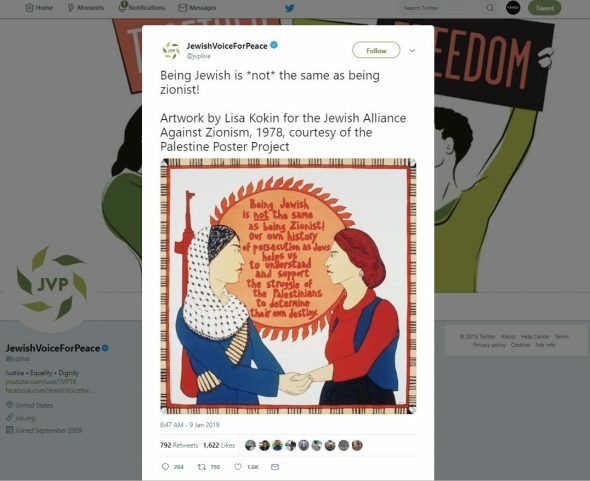 By attempting to keep young Jews ignorant about the facts on the ground and divorced from firsthand observation, JVP aims to indoctrinate them with its own radical, anti-Israel rhetoric. 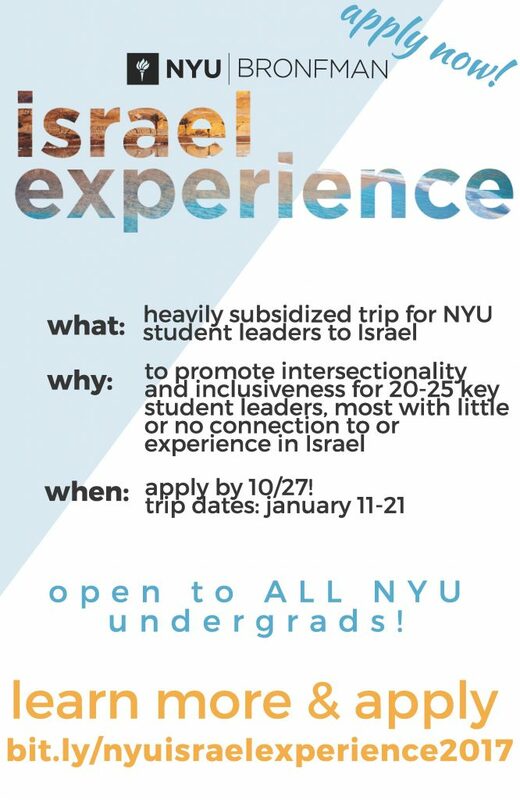 bring[ing] NYU student leaders together for on-campus seminars and a 10-day trip to Israel to interact meaningfully with Israeli society and history, exploring the many nuances and complexities of maintaining a Jewish and democratic state. 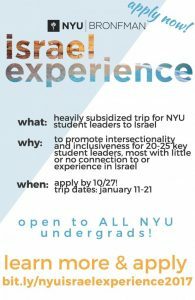 The trip seeks to formally delve into the narratives of the people who live in Israel and Palestinian territories…. …The trip will take student leaders across Israel and Palestinian territories, exploring old and new communities, and engaging with prominent authors, activists, professors, and artists. Students will learn about the unique social, political, economic, and religious aspects of life in different regions, and engage with one another in thoughtful conversation about their experiences and viewpoints. The trip seeks to grapple more meaningfully with the tensions on the ground and deliberately engage across fundamental difference. Were the goals of JVP to work in concert with other groups to promote “peace, social justice and human rights” as it maintains, it would applaud and support such a program. It does exactly the opposite. Recently, JVP has begun to target a younger, more naive crowd still unfamiliar with the history of the Jewish state and the Arab-Israeli conflict with an insidious propaganda campaign targeting U.S. elementary schools. The purpose is to indoctrinate new adherents into JVP’s vicious creed. 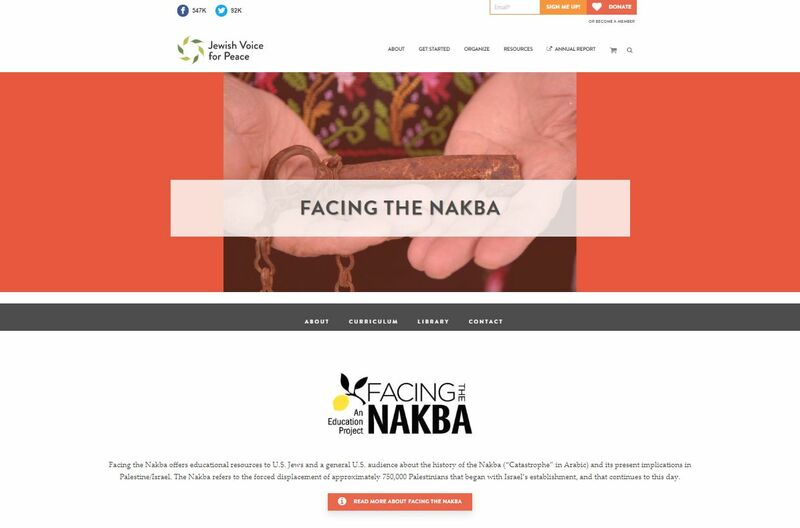 To that end, JVP has prepared its own deceitful curriculum about the Arab-Israeli conflict in materials it distributes under its “Facing the Nakba” campaign. The Palestinians are the indigenous people who were displaced by Jews. The establishment of a Jewish state “massively destroyed” the lives of the indigenous people. The Arab invasion of the new State of Israel was a justified response to the unjust UN-proposed partition resolution that offered Jewish immigrants the majority of the land. When Palestinians refugees “tried to return to their homes where the new state now stood, they were permanently barred by the Israeli government” while those who remained in Israel became “second class citizens” of the new state. “Jewish settlers dominate the natural resources…” Israel’s “unequal law” denies Palestinians even basic allocation of water while it allocates Jews enough water to luxuriate in swimming pools. Israel is an expansionist state, maintaining an “entirely unjust” occupation of Palestinian lands it conquered in 1967. 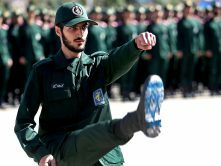 “To maintain the occupation, Israel has demolished thousands of Palestinian homes and orchards, confiscated Palestinian land, bombed a captive Palestinian population in Gaza and punished resistance with raids, arrests and assassinations – all to gain maximum land while making life so difficult for Palestinians that they will either leave or be too afraid to resist. Employing the propaganda technique of “bandwagoning,” the cartoon ends with an appeal to young children “to make a difference” by joining “a movement with hundreds of thousands of people just like you across the world” – the BDS campaign against the Jewish state. 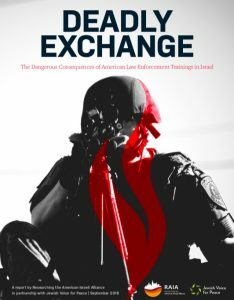 The above is just a sampling of the crude and dangerous tactics of an anti-Semitic hate group that masquerades as a Jewish peace organization. 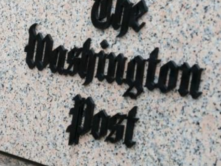 When journalists are derelict by not exposing the group’s malicious agenda, or worse yet, by cloaking them in deceptive language, the mountain of incriminating evidence must speak for itself.